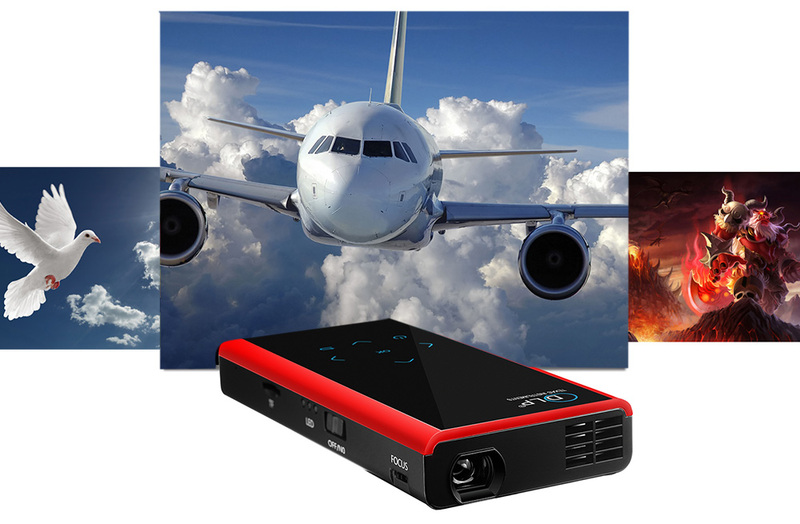 This innovative DLP projector is packed with features including WiFi, Blutooth and mouse operation, HDMI, PC and video input options, keystone correction and integrated speaker. Advanced DLP (Digital Light Processing) technology allows you to experience crystal clear, razor-sharp and lifelike images with the same DLP technology used in Hollywood. 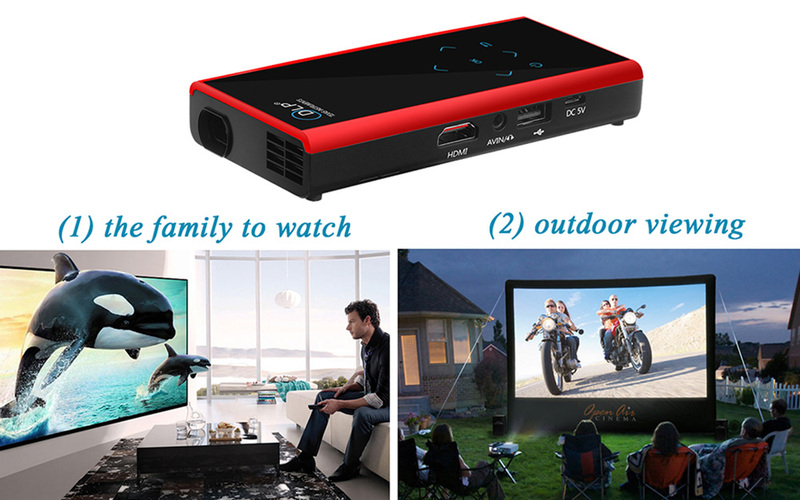 This projector is supplied with the latest operating system of Android, version 4.4.2. Android gives you access to over 800,000 apps including Facebook, Youtube, Picasa and many others. There is also a huge variety of games. A plus of the E06S 4GB version is the dual-band Wi-Fi for a better WiFi signal. The WiFi chip supports WiFi 802.11 b / g / n. In both versions, the latest Bluetooth version is present, namely 4.0. Good users interface, resulting in the improvement of reliability and usability. 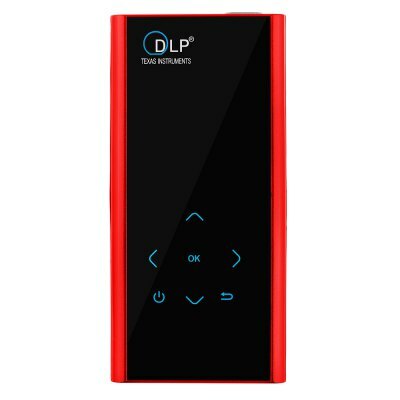 The technology of DLP driver can bring you more colorful and brighter image as well as smooth video entertainment at any time any place. 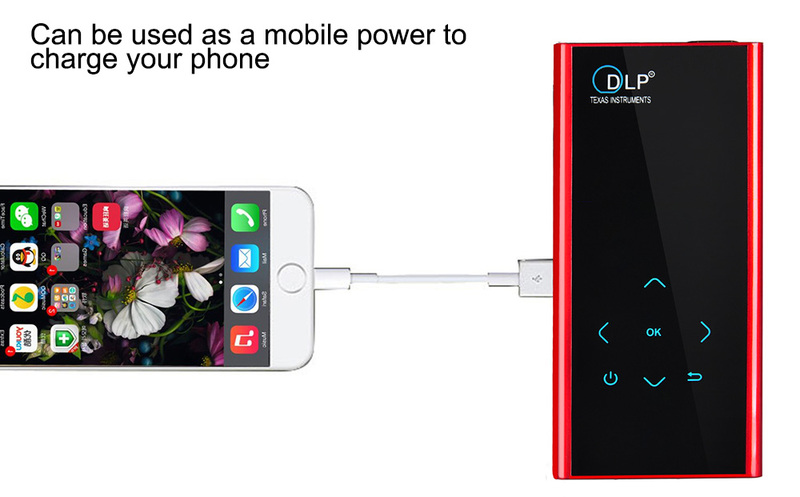 - Display by 30000mAh lithium battery, without the connection of external power supply. - Android 4.2.2 OS, Apps have never run so smoothly. 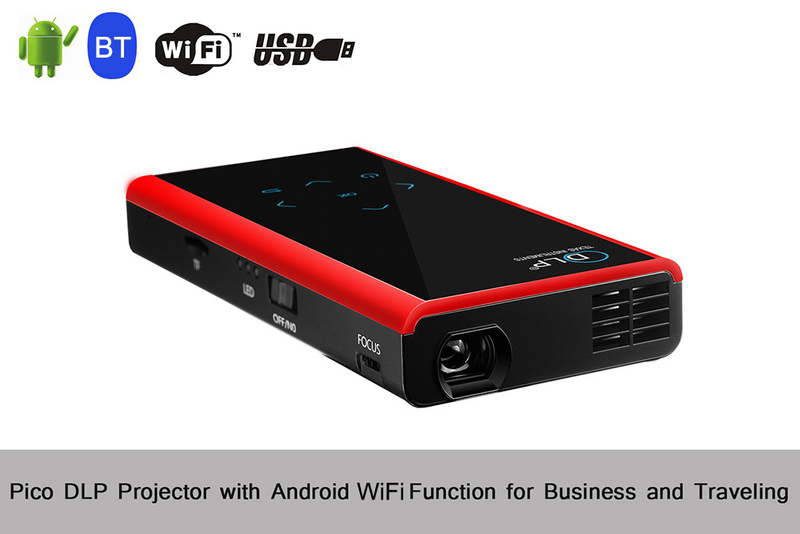 - Support WiFi, Bluetooth connection, Miracast / DLNA display and mouse operation. 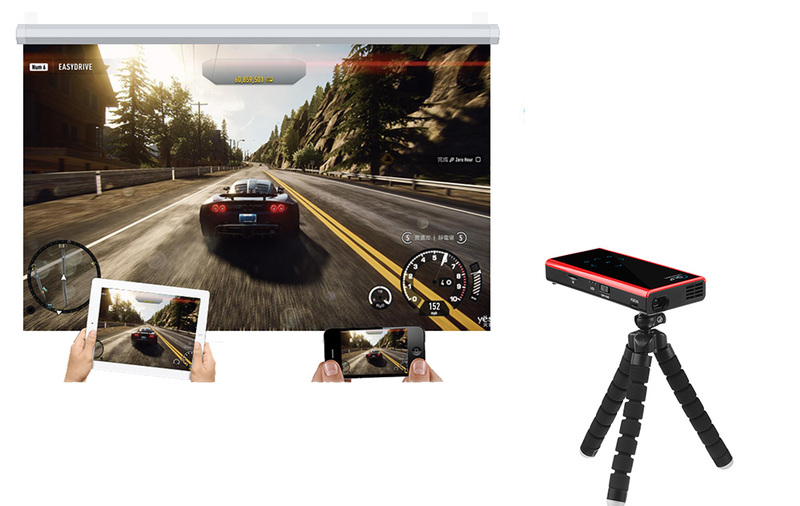 - Support 1080P full HD input the scale of screen is 16:9. 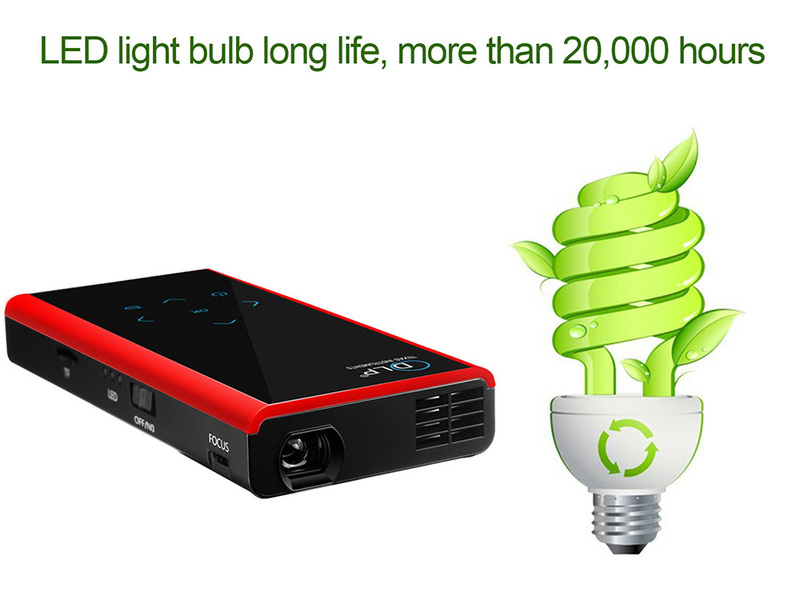 - Long LED lamp life is over 20 thousand hours, with more natural color, contrast radio is 1000:1. 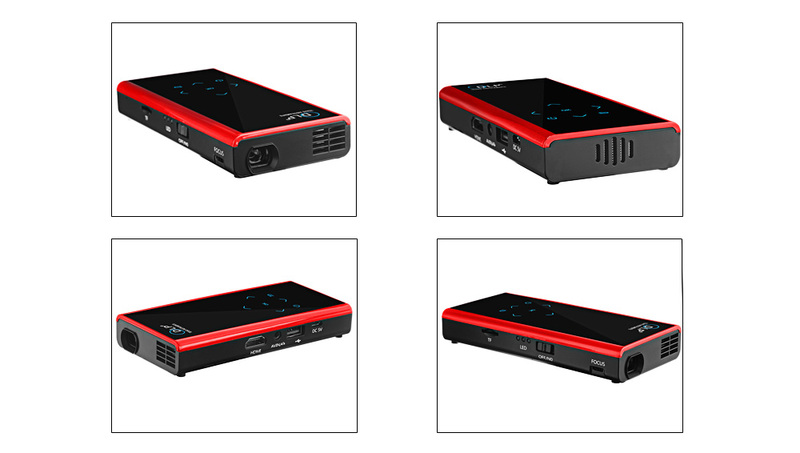 - More than one piece of input ports, this increases the connection with external devices (such as USB, mini SD card, DC in, HDMI, AV etc.). - Radiation-resistance light will not hurt your eyes which is perfect for long time enjoyment. 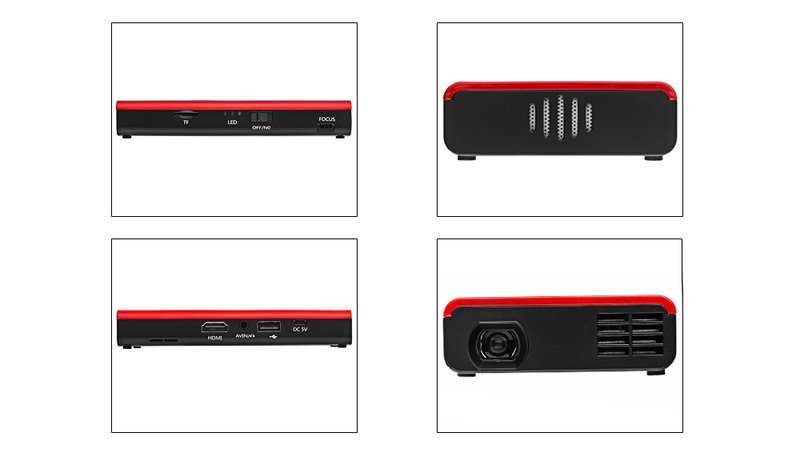 - Features a memory of 1GB DDR3, support mini SD card up to 32GB. 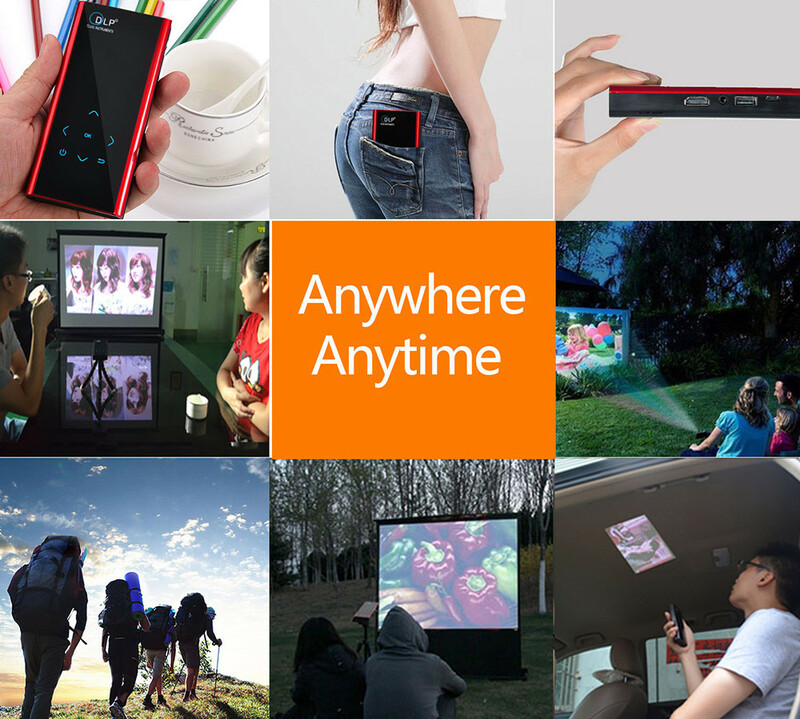 - Fully compactible with multiple devices such as iPhone, mobile phone, PSP, DVD, laptop, MP3 / MP4 player, tablet as well as mini SD card. - Convenient operation of functional keys. 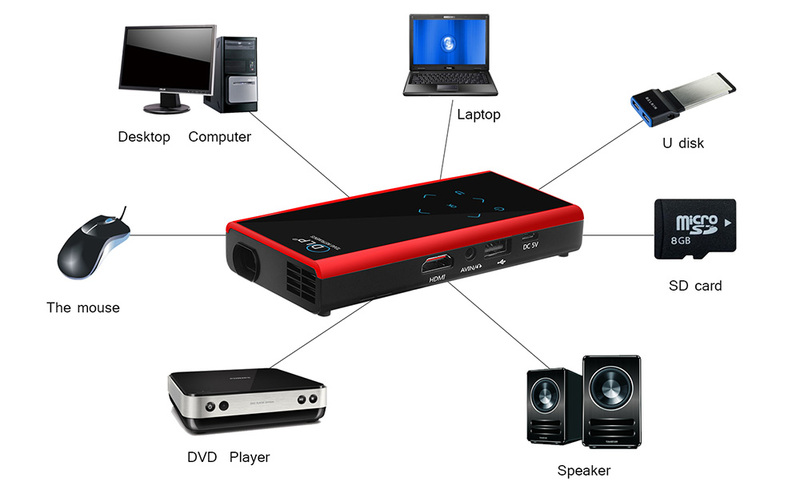 - This projector is also capable of charging mobile phone, tablet etc.